Description: VIP Organizer is a time and task management software which uses To Do List method to help you get through more work spending less time. The program increases your personal and professional productivity. It is an organizer, planner, notepad and reminder combined in one powerful application. Use our software to organize, prioritize and track completion of tasks, manage projects, workflow and events, plan your life for days, months and years ahead. 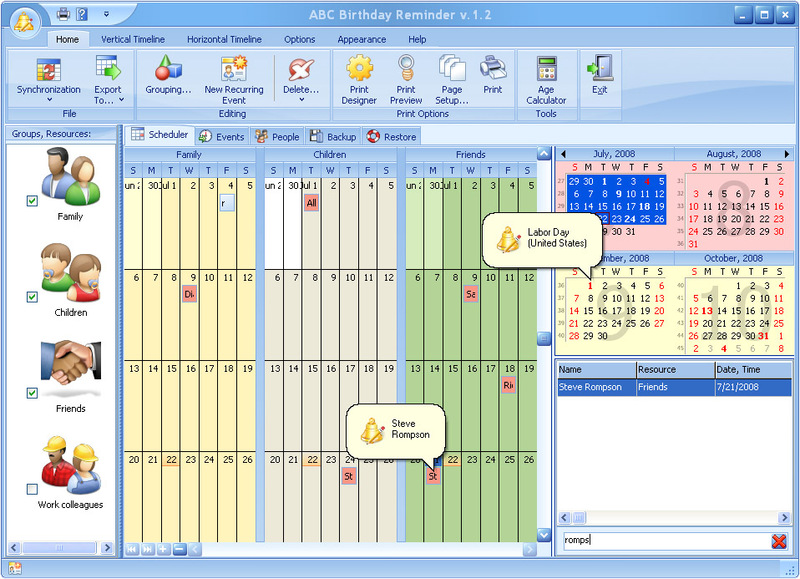 Description: The name of ABC Birthday Reminder speaks for itself - it's a comprehensive tool that keeps detailed information about birthdays and other remarkable events. You can enter recurring events, gift descriptions, gift cost calculations, notifications and store this information in a searchable database. If you want to avoid embarrassing situations and having to call your friends in an apologetic tone, get yourself a copy of ABC Birthday Reminder! Description: aCalendarForge builds HTML pages to show events in multiple formats, including calendars, agenda, and logs.Event files can be tab separated text, and come from spreadsheets or databases. Events can include date and time, name, image, web link and descriptions. Time controls include time span, day names, start time for days, and first day of the week. Users can determine appearance and style factors such as headings, background, and dates. Description: Achieve Planner is a time management software system that helps you get organized, increase your productivity, and make better use of your time. It features a hierarchical (multi-level) project/task outliner with a weekly calendar to schedule meetings, appointments, and allocate time to projects. Use priorities to focus your time on what is most important; keep track of effort estimates for projects/tasks and record your actual work. Description: Fully customizable calendar with notes/appointments, tasks, alarms and contacts. It features integration and interactivity with a desktop wallpaper, shares calendar layers in a local network and displays data from Outlook and Google calendars. Description: Save creative mood and work time with recent documents manager ActualDoc. ActualDoc keeps track of the documents you are currently working with and helps you to find any of them with three clicks. Filtering options and documents viewer included. With file viewer, you can copy fragments of your documents directly from ActualDoc. Description: Address software for Windows. 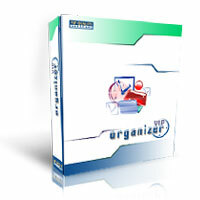 Organize business or personal addresses, phones, emails, web addresses, contact notes. Easy-to-use data management features. Print address and phone books, mailing labels, forms, letters, or mail merge address documents. Send emails, capture or enter person or map image. Create customized address solutions. Features: search, filter, sort, mail merge, html reports, quick dial, handy email, database designer. Description: If you are looking for journal software, then look no further than Advanced Diary; a complete solution for anyone who wants to have a private, digital diary. This diary software supports multiple diaries stored in a single database file, making it unique amongst such programs. Full rich text formatting, audio and video recording are also supported and the program may also be run straight from a USB flash drive or other media.